dublab is a non-profit web radio collective devoted to the growth of positive music, arts and culture. We have been broadcasting independently since 1999. Our audience of turned-on listeners connect from around the world. dublab's mission is to share beautiful music via the world's best djs. What you hear on dublab crosses genres and defies classification. Unlike traditional radio, the dublab djs have total freedom of selection. You will experience many different sounds but find they all have the same soulful root. We have extended our creative action to include art exhibits, film projects, event production and record releases. James Pants - "Cha Cha Demo"
Check out our latest dublab Blog Entries! Bonus Beat Blast is an original Creative Commons beat/rhythm library from dublab’s international family of music makers, compiled exclusively for their Proton Drive. Not only does it feature over 70 tracks by the likes of Asura, Daedelus, Kidkanevil & DZA, Raleigh Moncrief and many more, but the entire collection is licensed under a Creative Commons CC BY 3.0 license which gives you the freedom to share and remix the work even for commercial purposes as long as you credit the original source. 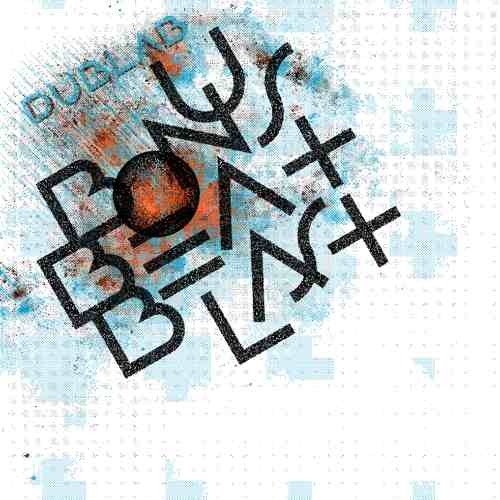 The full Beat Blast, including lossless FLAC files, is currently available only by donating to dublab -- a non-profit audio source and a very good cause! But since they are CC licensed, they're sure to be distributed far and wide, and dublab is encouraging you to share the myriad creations that these beats inspire. As a teaser, check out this beat below from James Pants, one of several JP contributions to the Bonus Beat Blast. James Pants' Stones Throw releases are top favorites, taking what WFMU's Liz B calls "a freeform approach to dance music." And if you crave more rap beats, James Pants recently posted JP Failed Rap Beats #1: 2004-2008 + 1 from 2001 on his top-notch tumblr. this site is right up in there! it's turning me on to some new sounds and i like it!